Thanks to innovations in Internet, telecommunication and mobile technology, the remote workplace is a reality today. Companies can now enlist the aid of the solo workforce for work projects. Axiom Legal Solutions, for example, has a network in which lawyers work remotely. Even LinkedIn has ProFinder which connects freelancers with leads. However, working remotely is one thing. You are given work which has to be completed within a stipulated amount of time and you alone are responsible for it. But what if you were responsible for building a remote team? Sure, you might be fast in keep clients updated on changes; but are the rest of the people in your team? With these in mind, here is a rundown of 15 rules that can help you run and manage a distributed team better. Work is no longer a place, nor does it have a time. According to a survey, more businesses will start relying on full time remote employees by 2020. And such a workforce often comprises of team members who come from different cultural backgrounds, speak different languages and have different ethical values. Managing teams like these therefore becomes a challenge. Working remotely sometimes means working without borders. If you work with a remote team, oftentimes, cultural differences might translate to differences in value. A word or statement said in jest might come off as offensive to someone from another ethnicity. Behaviors in sarcasm, humor and criticism are very different in different cultures; so are faith and religion. However business development is universal. Imagine that your workforce has people from Dubai, China and India. Now, if you are from the US you wouldn’t expect to work on national holidays like Christmas and the 4th of July. So, why would the people in your remote team work on days when there is a national holiday? Every person in your multicultural remote team has religious and familial obligations that they have to fulfil. Holidays like Holi, the Chinese New Year and Eid fall in this category. At the end of the day, particular members of your team can’t work during days that are usually off for the rest of their countrymen. Unfortunately, that might put a wrench in the works since the rest of your team can. A missing member can disturb or derail the workflow especially if said member is, say, lead developer of a web development project. For example, holidays that last more than a day (like Eid which comes in threes) can cripple projects. So, the first step towards maintaining workflow in a multicultural remote team is to organize your projects around these holidays. Your team will respect the fact that you take their cultural limitations seriously and will make them trust you more. Using simple words: If you want to keep communication open, you have to make it easy for your workers to communicate with you. So, lose the complicated vocabulary and keep your sentences simple. Sure, your team could use Google to learn what you are talking about – but why make exchanges more complicated than they are? Choose your tone wisely to make up for body language – Hand gestures and even the quirk of an eyebrow can communicate what words never can. But you don’t have this advantage while talking to employees stationed thousands of miles away. So, you will need to use your punctuation and words carefully as you chat or draft an email. For example, to congratulate or ease a member into the work process, you can end chats or emails with a smiley face. Take your time: Consider the what, who, when and why of each exchange. Since you work remotely, you aren’t pressured to answer immediately which is an advantage. Take the time to edit your messages and spare yourself from saying anything you might regret. Aside from this, a simple fact is that people tend to work harder when they are happy according to a report on Science Daily. The report also cites how Google increased employee satisfaction rates by 37% by investing in employee support. Remote teams often use different online tools to keep communications open. Think of Slack, a cloud based chatting program that helps teams collaborate on projects. Unfortunately while platforms like these do keep teams on the same page, it also means that you are getting notifications during odd times during the day. where he is and he is wide awake. When your workforce is in different timezones, even an innocent request or notification can ruin a good night’s sleep. You feel pressured to respond immediately and this can ruin anyone’s day. To keep things comfortable for all parties involved, discuss work schedules with each of your team members. Show them that you value their time by discussing how you can achieve business goals by respecting whenever they are comfortable working. A shared sheet (like Google Sheets) that shows different time zones and indicates when each of your team members can work is a good start. A handy tool is Every Time Zone which allows you to see how your current time zone corresponds to time zones in other countries. The problem with a multicultural workplace is that it’s very hard to ignore the stereotypes of each race. You expect someone from a different race from your own act in ways that popular media has made you believe. For example, the sign for OK looks like a pretty innocent gesture in the US but would be offensive to a Brazilian team member. Instead of treating cultural diversity as a nuisance, embrace it and learn to work around it. You can use the stereotypes but don’t assume that, say, two Chinese members are the same or have the exact same beliefs. Use the stereotypes as a vague idea and make your own judgments about a worker’s character through future interactions and observations. You have your design team and your developers assigned to different tasks. Now all you need to do is let them do what they do best. Right? Not quite. Every business has expectations and if you do not implement these earlier on, your team will no longer be working towards the same goals. But the good news is that there are ways around this problem. Create guidelines for productivity, teamwork and accountability can help your team know what to expect. Availability: When you need your workers to be available in certain hours of the day, set expectations as to when. Timely meetings: Hold weekly or monthly meetings to keep all members on track on a project’s progress. 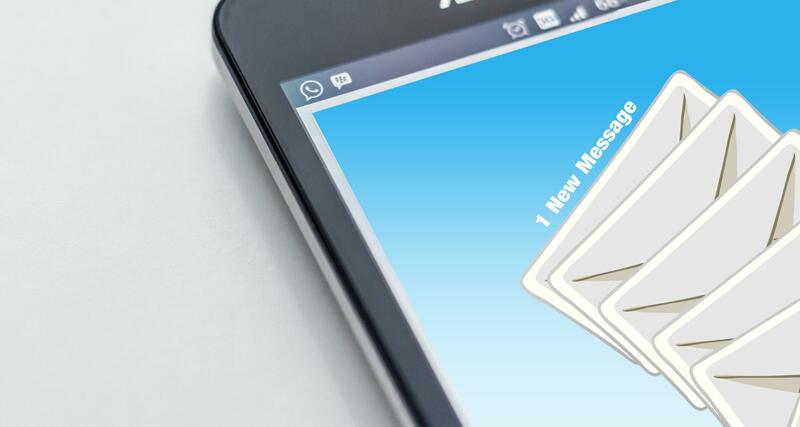 Respond to emails: Timely email responses ensure that any misconceptions or affirmations are resolved as soon as possible. Also, make sure that you keep every member’s timeline into account for this (if your remote workforce is multicultural). Know your tools: Even free videoconferencing services like Skype and Google Hangouts need some getting used to.Take the time to learn how to use the software for things like group video conferencing or audio only conferencing. Check your background: Professionalism matters, even if you work in your room at home. Its sets an example to the rest of your team. So, keep your room uncluttered and free from anything that might distract whoever you are talking to. Keep participants engaged: To keep employees engaged in a video conference, address them by name and ask them questions instead of monotonously reading off an Excel sheet. No channel of communication will work for you if your don’t brush up on your communication skills. Keep in mind, you might have the best skills when talking to people face to face but the online world is a whole other ballgame. Also as mentioned, you don’t have the benefit of body language to put your point across. In the case of text based chats for example, all that is between you and your remote team is a computer screen. Point is, you have to communicate quickly and concisely the first time around. For example. starting with the word “ummm” might not seem out of place in a face to face conversation, but in a text based exchange, it is apt to raise a few eyebrows. We have come a long way since primitive communication tools like MSN Messenger and conference call phones were the norm. Now, we have a ton of conferencing tools that can do anything from sending documents on the cloud to chatting online at the same time. However, an online software might have the best video conferencing features but may stall if you try to send too many or large documents with it. Sharing documents: Since your employees work remotely, use tools that enable them to share and receive documents easily like a cloud based software. A good example is Dropbox for mobile and web, a cloud based file sharing service. Organizing to-dos: Software like Trello is good if you and your remote team are software developers. However, if not tools like Evernote which enable users to share notes. A good case study for this is from Cisco which uses technologies like Cisco TelePresence, WebEx and Jabber to allow its workforce to collaborate from home, office or remotely. But it is not impossible for remote teams to engage in some leisure time online. There are resources a distributed team can use to engage in activities that are not related to their work. Tools like Automattic for example allow team members to create their own micro blogs where other members who have shared interests can start discussions of their own. Another tool Hipchat can be used for sharing music. Morale in turn is a state of mind which is highly dependent on feelings and emotions. Productivity in the workplace is largely dependent on employee morale. Low morale can lead to a loss of productivity and reduce employee retention. A post on Entrepreneur reports that unmotivated or disengaged workforce costs businesses $450 to $550 billion in lost productivity each year. Be consistent: It takes one negative feedback to counteract 10 positive feedbacks. While negative feedback is necessary, you can ease the effect by being consistent with praise when it is due. Positive feedback is often given verbally in physical office space usually in front of other employees to boost morale. Since this isn’t an option in a remote workplace public validation must be done by email. For example, consider CEO of Inkwell Manon DeFelice who lifts the morale of her virtual team by sending company wide emails praising the team and even singling out colleagues for a job well done. Reward them with something useful: Mailing employees gift cards from places they cannot possibly access is a lazy tactic. To make rewards a bit more impactful, ask the employees you recognize what they would like as a reward. You can also reward them with cash prizes like a nice little bonus with their monthly salary. Give them targets: Clear work targets assure remote employees where they need to be to achieve rewards. Give them weekly or monthly targets just like you would in a physical office. Start off meetings with kudos: Unless you make time, remote teams rarely have the opportunity to celebrate victories. Kick off each team meeting by encouraging and praising employees. It’s also a good way to start any meeting on a high note. Plan social events: Take advantage of meetups (if you can) by celebrating successful milestones with social events. It’s a great way to boost morale and to get the team to know each other. Picture this. Your boss comes in to work later than you. That’s okay, you say. He owns the business after all. He flips on the television to catch up on the news. And you have caught him scrolling through his Facebook feed on more than one occasion and basically not really holding up his end of the work. Some employees often complain that their bosses don’t seem to be doing anything. As an employer or owner of a remote team, you might not realistically be doing much instead of delegating tasks. But if your employees don’t see you working like them it might create a negative impression. Engage with workers to make them see the value of what you do: For example, if someone comes over with a problem tell them to get back to you after five minutes or so, gather all your expertise or thoughts on the matter and discuss their problems. This will make them appreciate you more and see the value of what you do. Show up earlier than anyone else: If you use software like Skype to see when employees are online, be online before anyone else. This shows that you are dedicated to your business and would like to start the day off early instead of relying on your team to do so. It also sets a good example. Tracking project evolution: Depending on your profession, solutions that track projects in terms of duration and completion ensure that everyone in your team remains updated on a project’s progress. For example, if you manage a team of app developers, you can use tools like JIRA as a scrum project management tool. Tracking productivity: How do you find out if your employees are spending the appropriate amount of time working? To ensure that every employee is holding up their own, use the right productivity tracking software. For example, you can use tools like Time Doctor which has options for required work hours, screen capture and other features that enable users to track worker productivity. If your team works pretty efficiently and is used to each member’s patterns of work, it can be challenging to introduce a completely new member into the fold. Unlike a physical workplace, the new member doesn’t have complete access to the rest of the team and no one would like to take some time of their already busy schedules to show the new guy the ropes. As the employer, you will have to work extra hard to ensure that the new hire gets to know the communication style, tools and culture your team has worked so hard to maintain. To keep new members up to speed, create a set of instructions that they can go through before they start participating actively in projects. You can go the extra mile by creating videos instead of a pdf document to make the onboarding process easier. 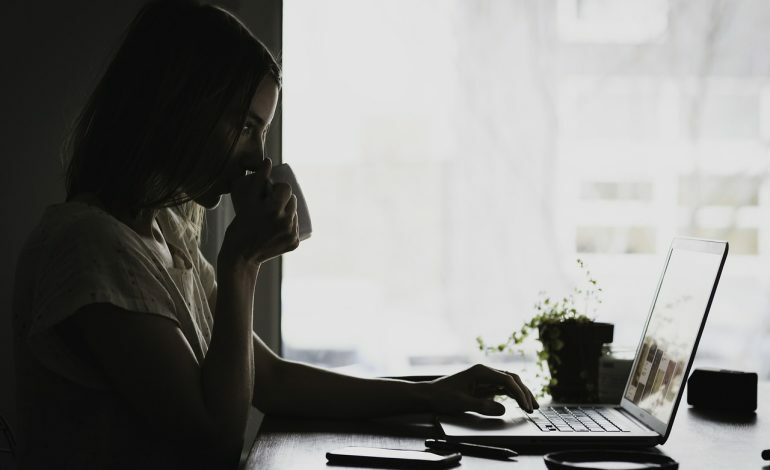 With these 15 tips, employers who manage remote teams can improve employee satisfaction across cultures, productivity and morale. Keep cultural sensitivities and obligations in mind when managing projects. Rely on tools that ensure smooth project management, keep communications smooth and help you monitor employee productivity remotely. Give your team a reason to trust your judgement, give praise when it is due and try to keep things as comfortable for your team as possible. Farheen Shahzeb is a digital marketer and content strategist at Cygnis Media. She is always searching for innovative ideas regarding topics like web app development and online project management.